China raced into a 2-0 lead in the first end and looked like they would extend it even further in the second after an excellent display. Norway, however, used their last shot of the second end to great effect, removing the Chinese stones from the house to get themselves back into the final at 2-1. The Norwegians then took this momentum into the third end and eventually collected two after Chinese skip Haitao Wang's last shot caught a Norweigan stone, meaning he gave up a steal and making the score 3-2 to Norway overall. Wang, however, was able to make amends in the fourth end as his final shot gave China one to make the scores level at the halfway stage. Norway then took the sixth end with one to shift the momentum back in their favour but they subsequently allowed China back into the game in the seventh through Ole Fredrik Syversen's mistake. The 46-year-old Syversen accidentally knocked two Norwegian stones out of the house towards the conclusion of the end, allowing China to score two and giving them a 5-4 lead overall going into the final end. The Norwegians, however, used all of their experience in a tense eighth end to claim one and tie the match at 5-5, meaning an extra end was required. A tentative start to the deciding ninth end, in which the teams were simply looking to defend the house from the opposition, was eventually broken by 25-year-old Chen Jianxin, who landed a Chinese stone almost bang in the centre to put his side within touching distance of the title. Norwegian skip Rune Lorentsen then failed to knock out Chen's stone with the final shot of the match, handing China the gold medal. 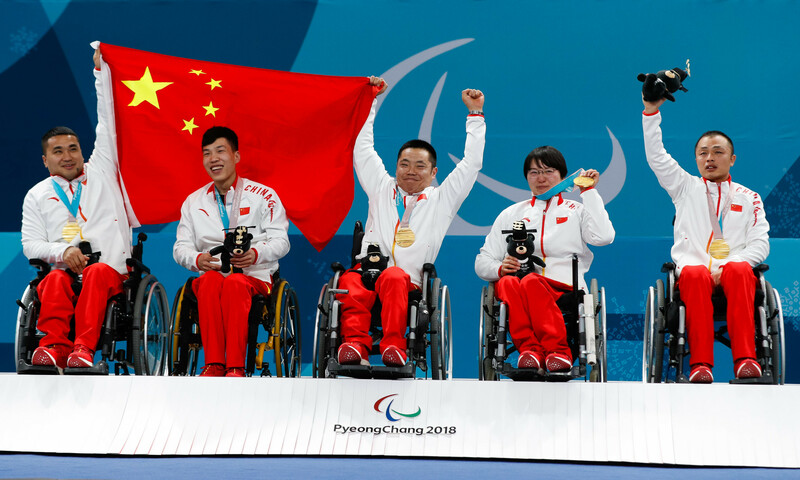 Today's victory will be seen as a huge step for Chinese Paralympic winter sport as they prepare to host the next Winter Paralympic Games in Beijing in 2022. Earlier in the day, Canada won a close bronze medal contest against hosts South Korea by a 5-3 scoreline. 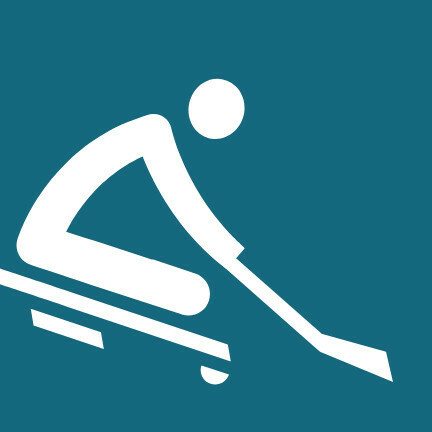 Sochi 2014 champions Canada set the tone early on in the contest and won the first end with two points. 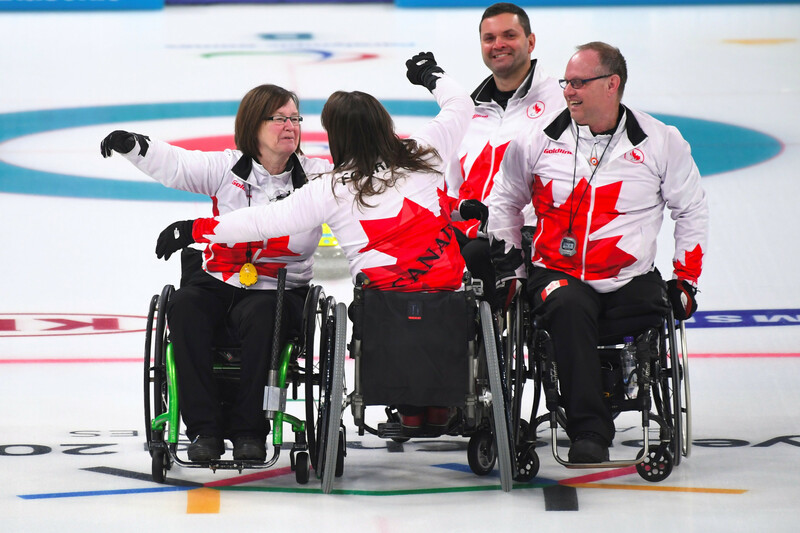 Although the home side looked like they could get back into the game with a score of one and a blank in the second and third ends, Canada secured another two in the fourth to once again create daylight. 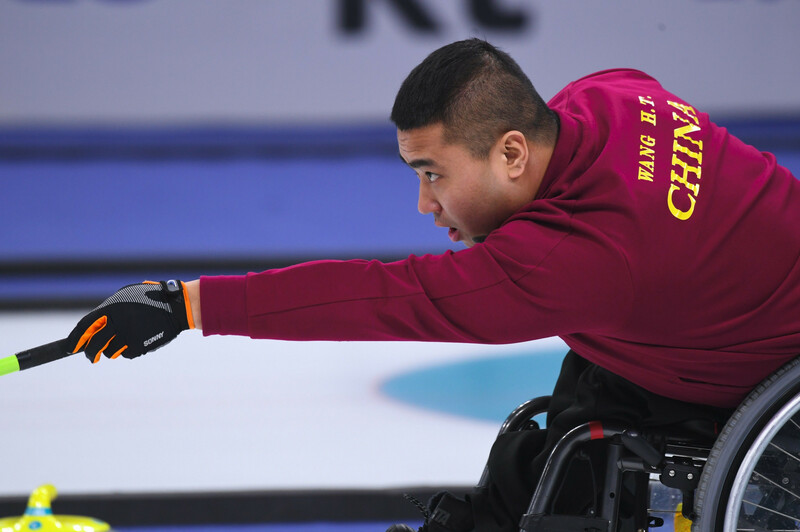 South Korea did manage to regain some momentum towards the end of the match but it was not to be for the hosts as Cha Jaegoan missed the final shot of the day, giving the Canadians the bronze.